The project we just finished up, was about Imperialism in Africa. We had to write a historical fiction story about a clash of two cultures, taking place in an African country. To go along with our stories, we also had to create a "book cover" or art piece to represent or stories. To get to the final projects, we had to go through many stages of note taking and small projects. We read a book, Things Fall Apart, by Chinua Achebe. It’s about an African village dealing with everyday life, when white men from Europe come to their land. That help put our stories into motion. The notes we took, were on movies and slideshows. They were about Imperialism in general and on the movie King Leopold’s Ghost. Those also went into how our stories came out. What I took away from this entire first project, is that Africa is more than what the Lion King shows. When people think of Africa, they think of a huge sun, rising over the plains, while an Elephant walks under some acacia trees and the entire area is an orange yellow color. It’s more than that. There are some places that elephants don’t live, or that are rain forests. The entire western coast is a rain forest. The image that was pictured above, is a single story. It’s a stereotype. That is what’s dangerous about it. The lasting legacies of imperialism in Africa are everywhere. English is spoken in lots of places because of Europe coming and imposing their language on the Africans. One example I can think of is in South Africa, where they all have English Accents because England took it in the 1800s. The ingredients for a strong story are that you should follow a chart. At least, that’s what helped me the most. Star with exposition, where you set up the character and give him or her a backstory so you know where they’re coming from, then go to rising action, where everything the character does starts to send them towards the climax, which is where we go next. It could also be where they make a mistake that sends them down the wrong path. The climax is when something big happens and makes our character decide to do something. After the climax, there’s the falling action, where everything calms down and we get to see how everyone and thing is reacting to the events of the climax. Last but not least, is the conclusion. I’m sure everyone know what that is. It just wraps up the story. I made my design choices on my cover because of what it was in my story. 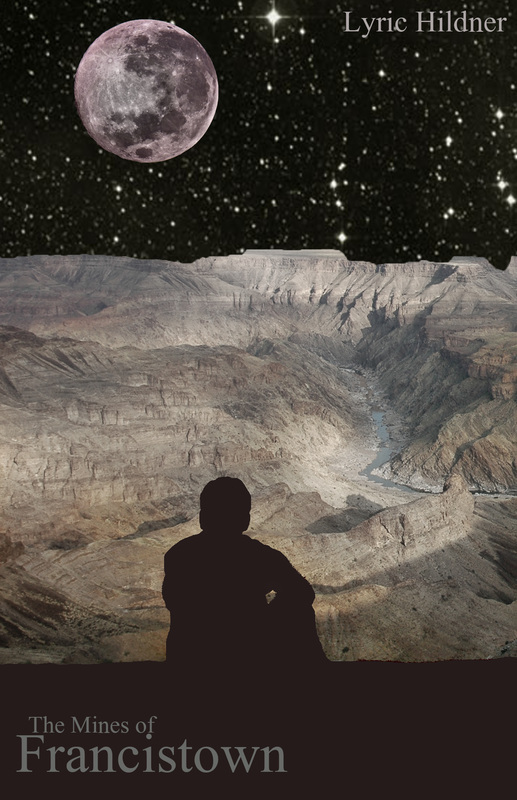 It is a scene where my main character, Lawrence, is staring out over the canyon at night. I think that my cover relates to my theme of my story because it is of a man, an immigrant, in another man’s land. A land that has already been claimed, yet other people come in and look out over the beautiful area just to exploit it. I’m most proud of how the silhouette of my character looks against the background. The most challenging part of my cover was getting the background from day to night. It had to look like it was a moon shining on the ground, and not the sun. What I would’ve liked to change about my cover, is the stars. I added them a little later, and I realized that they were blurry. I don’t like the blurriness of it. I think that the most important personal or social lesson I learned was that there is more to Africa than meets the eye. I never really thought of Africa, but when I did, it was always the Lion King. The sun rising in front of acacia trees and elephants. This project opened up my eyes to what Africa really is. Each country is different in appearance and culture and that one stereotype doesn’t really fit anywhere in Africa. I grew in multiple ways during this project. 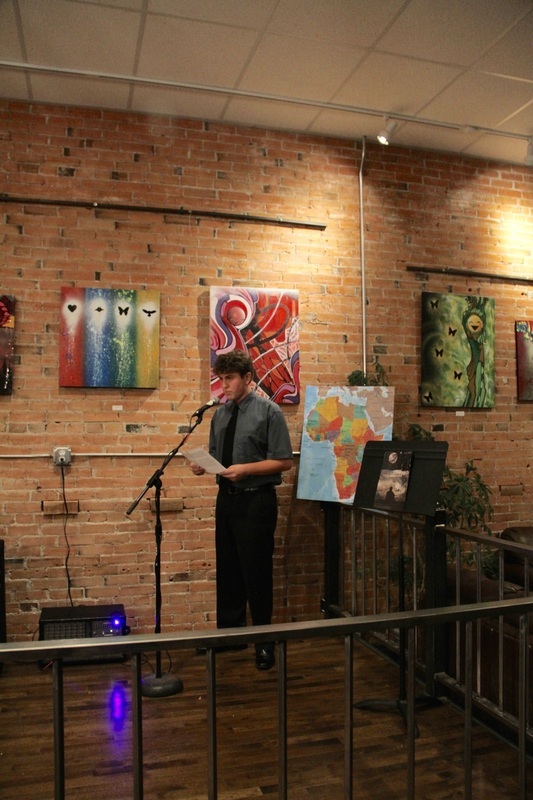 My perspective of Africa when we started wasn’t bad, but I didn’t know enough to write anything about it. This project added so much insight into this like I never knew Europe invaded Africa. During the project, I never really advocated for myself, but I knew i could. I didn’t need to advocate during this project though. While writing my story, I didn’t have a great stopping point for the conclusion. I did my best to persevere to the end though. I used so much evidence during this project. I researched everything I could for the time period I chose. Everything down to the food and drink in England during that time and the culture and gods of the Tswana people in Botswana. We did many critiques on our stories, and each time, I refined my story even more. Each time it got better.